The path to becoming a professional in anything is daunting. I have heard some say that it takes a lifetime and other say that to be a professional it just means doing your job when you don’t feel like it. Regardless of what you believe a professional consists of I thought it would be interesting to write out my journey. My goal is to suggest that becoming a professional has more to do with a mental attitude then it has to do with “putting in the time.” How I started in photography is the one question that I am asked by 99.9% of the Brides I meet with. I have been programming and designing for profit since I was 18 (1998). It took me until I was 25 to realize that I needed to start taking photos for my clients. My web design clients would give me these horrible photos to work into the design of their website. I would do my best to talk them into using some stock photography. Like any good business person I saw the money that I was spending on stock photography on my clients behalf and decided that if I had a decent camera, I could take their photos and of course charge a premium for that. I finally got the money saved up to get a Nikon D40 (if my memory serves me correct). It just so happened to be that Good Guys was going out of business and they had a display model left. I had done some reading up online and the Nikon D40 was the most bang for my buck. It was better than a Canon Digital Rebel but not as good as a Canon 20D, which is what my heart really desired. To make a long story short, it just so happened that they had a Canon 20D in the back and it was 40% off. Oh Snap! I took the camera everywhere. I acquired a Sigma lens from a friend of mine who I think took me as a sucker because it was a crap lens. When the lens would auto focus it sounded like the servo in a cheap RC Car when you make it turn. It was so loud that I could not stand it. However I used it to it’s best ability and it was better than the kid lens that came with my 20D. I had always been a kind of behind the scenes guy so most of my shooting was more of what a real photographer would call “photojournalistic” or “documentary” style photography. I was capturing story, attempting to make the photo I was taking do the talking. Little did I know that this would benefit me as a wedding photographer. One of my biggest inspirations had always been skateboard photography. I used to own a skateboard shop in my early 20s. During that time I was more into video. A friend of mine approached me and asked if I would shoot his wedding. At the time I had been shooting with my simple 20D setup for about 6 months mostly consisting of event photos and shots of my friends. I had nothing to show him, but I was confident that I could pull it off. I had never really been to a wedding and watched the photographer before so I really did have no idea what I was getting myself into. The first thing I always do when I decide to look into a career option is to learn as much as I can about it. Months before the Collins wedding I started reading blogs and looking at wedding photos that photographers had posted online. I signed up for Photoshop World which I had to leave a day early from in order to make it back in time for their wedding (On a separate note: It’s funny because as I write this I am at Photoshop World and have to leave early in order to make it to a wedding this Saturday.). I consumed as much information as I could so I had a solid understanding of the process and what goes on. With the available equipment that I had, I shot Mike and Brenda’s wedding and had a blast doing it. I actually had someone shadow me at that wedding which was kind of funny being how it was my first wedding. Believe it or not, I pulled these from my Flickr account. That’s right! I have photos going back to day 1 on my Flickr and I don’t plan on deleting them. I do however wish I could change my Flickr account name… View my Flickr. I gained so much insight now having completed one wedding. This was the end of 2006 which began my new slash career as a wedding photographer. Being a website designer helped tremendously in my marketing efforts to promote myself as a wedding photographer. Myspace was huge and I took advantage of it’s power to connect my message with people who were getting engaged. 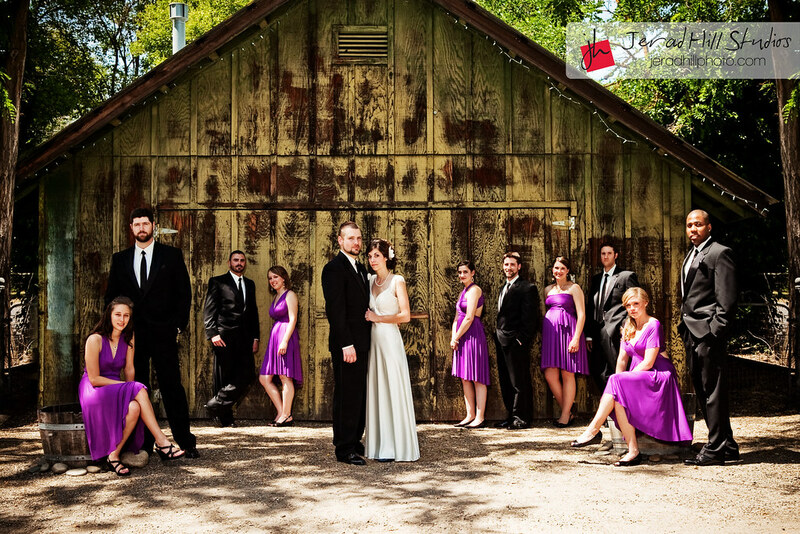 I used tools that allowed me to target people who were engaged and lived in areas that I wanted to shoot weddings in. During 2007, my first full year as a photographer, I shot 32 weddings. Two of those weddings were even shot on the same day (something I will never do again). By this point I had upgraded my gear. I had purchased a few prime lenses. I was told that I should invest in good glass before spending money on camera bodies. This is advice I have passed on more times then I can count over the years. Here are a few photos from early 2007. Photos from the End of 2007. After having shot 32 weddings, countless engagements, family portraits and commercial assignments in 2007, many would consider me as a professional. In my mind I was no where near professional. There were many times that I would come home from shooting a wedding, go online to see what some of the pros had shot that weekend and want to sell my gear and forget about photography. It can be very poisoning to compare yourself to others. I never took into account the difference between my situation and that of the pros I was admiring. One thing I never have done as a photographer is seek out self esteem boosts by showing my images to others. The only time I show the Bride or Groom the back of my camera is to give them a confidence boost and I usually only have to do this once. I want to make sure that my subject sees them as I see them, not as how they see themselves. Most of us have a slightly more negative view of ourselves than many others do of us. I also used to spend a lot of time post processing my images and for some reason had a fear of showing my clients untouched images before I got to see them on a larger screen. I don’t show my images at galleries or enter them in contests. I don’t like that kind of spotlight, I prefer it to be on my client. At this point as a photographer I had been doing online tutorials teaching technique, had been interviewed a few times and had a few of my photos published. It was my mind that was getting my my way of going where I wanted to go as a photographer and truly living up to the title of a professional. In all actuality, when your clients are happy with your work because you delivered above and beyond their expectations, you are a professional. I take what I do very seriously. There are photographers out there that can shoot better than me just as there are programmers and designers who can put together a better website than I can. Though when it comes to professionalism, my goal is perfection. I know what my job is and I plan to achieve that for my client. Anything less then that is unprofessional. When you have reached that understanding and intent to set out with that mindset each and every time regardless of the client, you are a professional. I actually realized that I was a professional in the field of wedding photography and website design at the same time. I realized that it was not a lack of vision or understanding that I lacked which was keeping me from considering myself as a professional, it was my own mind. It was the beginning of 2009 before I realized this and decided put a stop to the internal mindset that I had not reached professionalism. I believe that a mindset is something we can create. It takes work just like anything else. Having a positive mental attitude takes as much work as it takes for an athlete to stay in shape. If you believe otherwise I suggest you read this book. I believe it will help you overcome any factors in life that may have led you to believe that you can not change the way you think about things. When I set out to start freelancing as a website designer I had no thoughts that I would become a busy wedding photographer. I really can not say if I will do either of these careers for the rest of my life. I go with what interests and inspires me. I love business and I love people, so I think I am in a pretty good place right now. However I keep myself ready for the next learning experience (aka challenge) every day, just incase something new inspires me. Since I have started both of these careers I have had many life changes. I want you to keep two things in mind. The first is that your mindset is the only thing keeping you from achieving your goals and desires. The second thing is that you need to give 100%. If you come at work or life with anything less then you are not a professional. Email I received 2 1/2 years after a wedding from my first full year as a photographer (click to make it big). Great Story! You’re work inspires me! I’m a student who is currently at secondary school and searching for work experience at a photostudio. As i was searching, I bumped into this inspiring story. I aspire to become as ambitious and successful as you. I want to become a modern arts photographer for fashion, with all my heart and I’d do anything to reach for my stars. Any advice? Just go out and do it. Start now! Live the life you want now and make it easy for others to see what you are up to. Figure out where it is that you want to be and then break that up into actions you can handle a chunk at a time. That is the best advice I can offer. Great Story! You’re work inspires me! Very nice photo!!! Can I repost your pictures?